نوفر لكم عروض اسعار فنادق مكة والمدينة لموسم العمرة 1440 – 2019 لحجز فنادق مكة المكرمة والمدينة المنورة المطلة والقريبة من الحرم مع أسعار رخيصة ومناسبة عن موقع البوكينق. يمكنك ارسال كلمة “اشتراك” على الواتساب وسوف نرسل لكم اخر تحديث الأسعار والعروض. This entry was posted in Hotels pictures. Bookmark the permalink. Booking Makkah Hotels in Ramadan month offers 1440 - 2019 near Haram with cheap prices for rooms and the best deals in Zat Booking site that helps you and provide you with the best and special prices of Makkah and Madinah hotels as well as secure Book rooms and suites with stunning views for Ka'aba al-musharafah and haram square such as Hilton Suites Makkah , Fairmont Makkah, Swissotel Makkah, conrad, marriott, Hyatt Regncy Makkah Hotel and hilton convention jabal omar ، as well as the holy mosque . 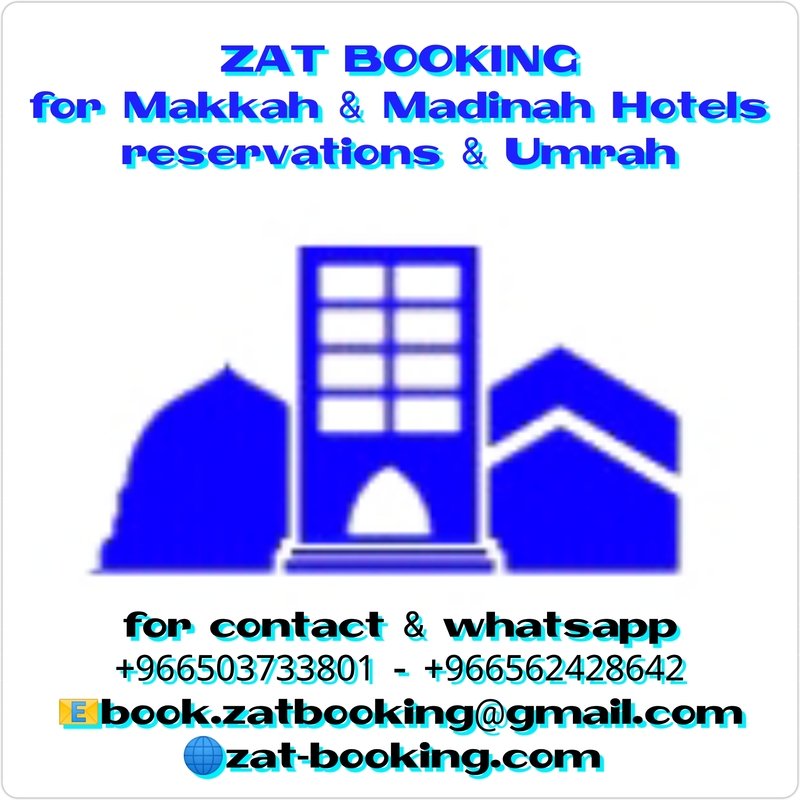 Zat-Booking is Site specializing in Booking Hotels Mecca and Medina five-star and four-star and economic. Booking a hotel in Mecca near the the Holy Mosque . Booking Hotels Makkah and madinah in Ramadan month nearing haram.